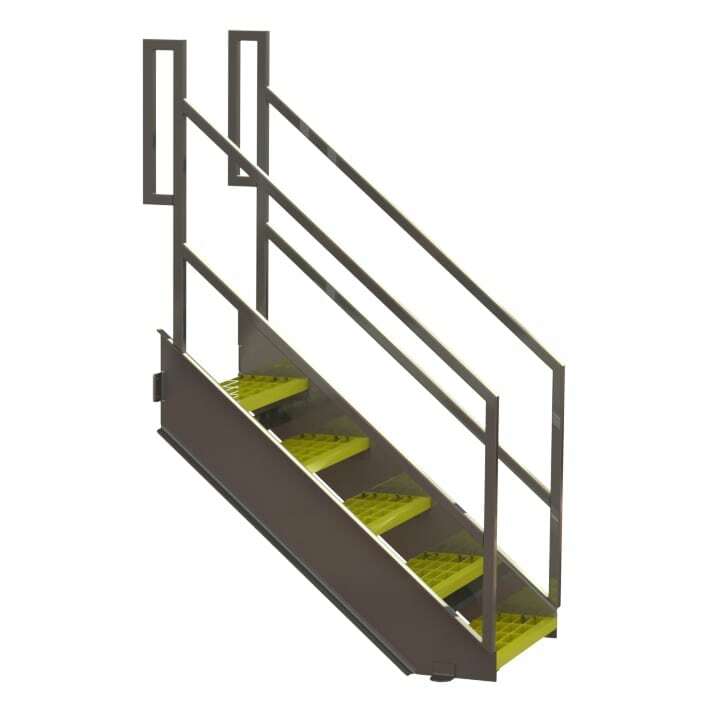 Provide your employees with safe and easy access to multiple work floor levels with custom designed stairs from Fusion Tech. 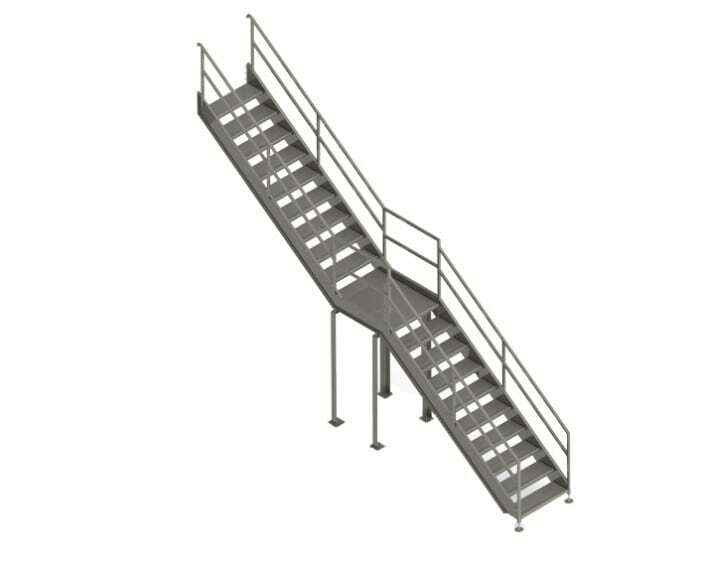 Ideal for access to equipment, platforms, mezzanines, or catwalks, Fusion Tech stairs are custom designed to live up to the rigorous pace of your work environment and meet all AMI Sanitary Design Principles for meat and poultry processing plants. 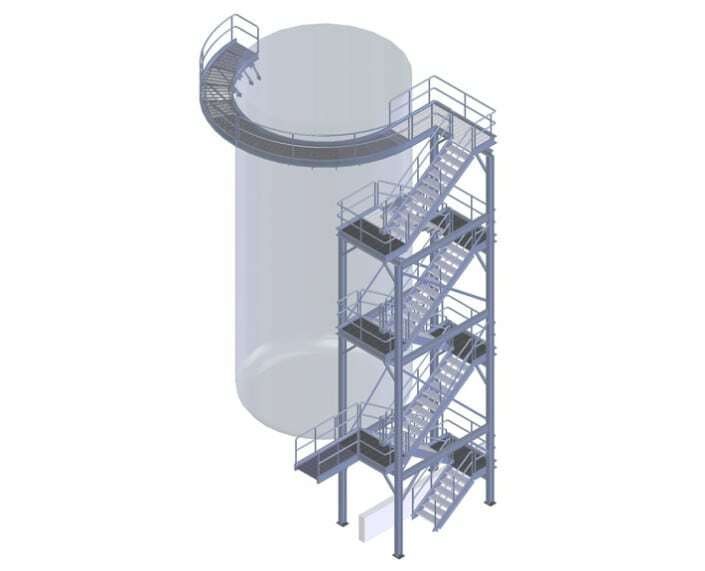 Your employees will be safe on a Fusion Tech staircase, as we include safety features in the design. 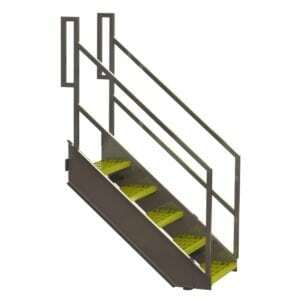 Made of high grade stainless steel, our stairs are durable and will withstand years of use, even around harsh and corrosive materials. It’s quality and reliability where you need it most! Fusion Tech stairs are custom designed to meet the needs of your specific application. 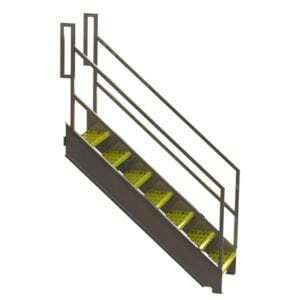 Customers are provided with 2D prints and 3D models of each staircase. 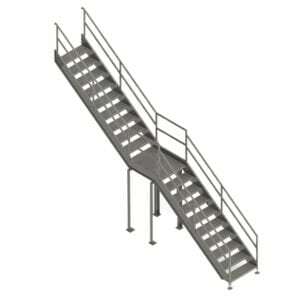 Our stairs feature a heavy duty frame, capable of handling more than the required weight. 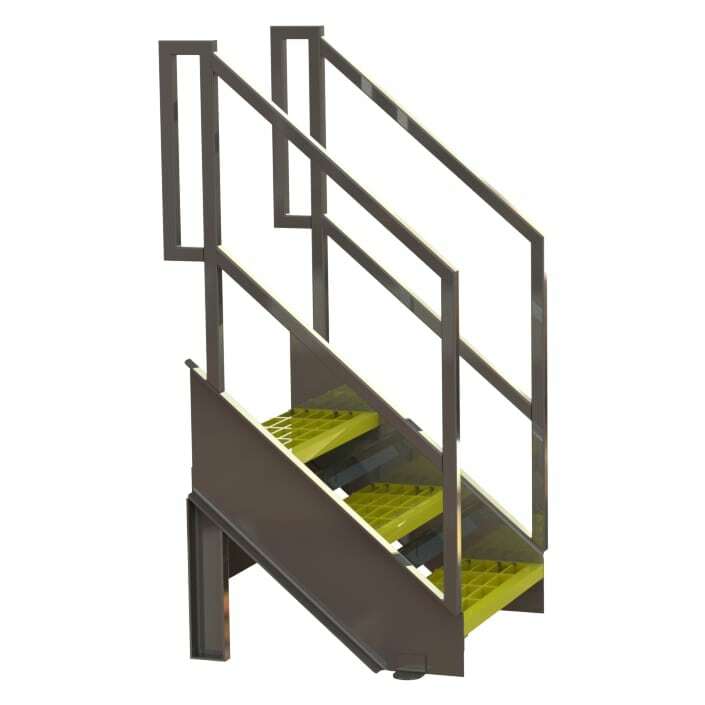 Our stairs meet all AMI Sanitary Equipment Design requirements, making them easy to clean and safe to use in food processing facilities. Our stairs are designed to meet all OSHA ordinances for employee safety, including anti-slip coating, toe kicks, railings and guarding, and more. 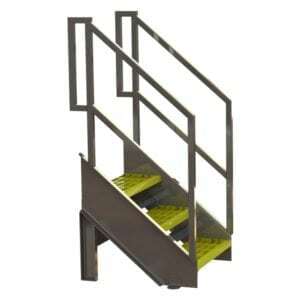 Fusion Tech stairs come equipped with a number of standard features designed to for durability, sanitation, and safety. Download the Fusion Build catalog to learn more about our custom designed stairs. 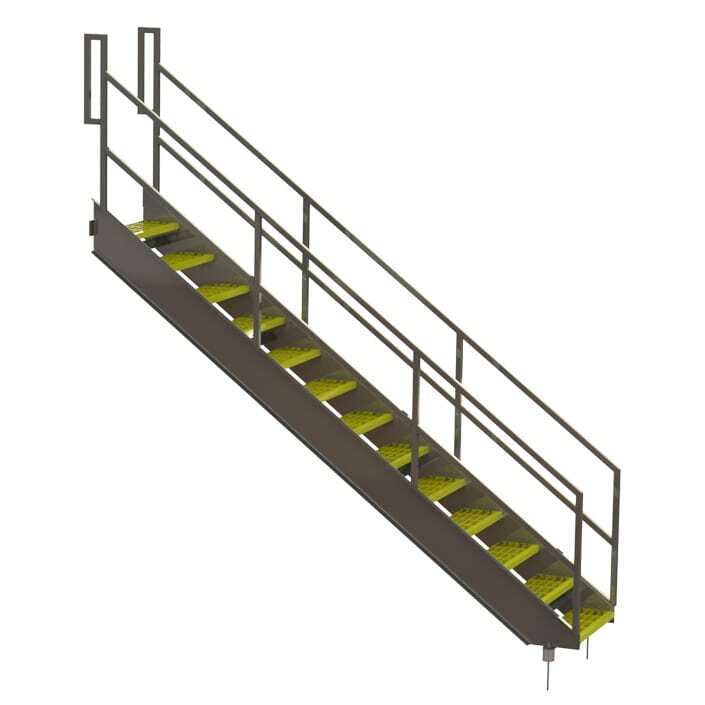 Download the Fusion Build product catalog to learn more about our stairs. 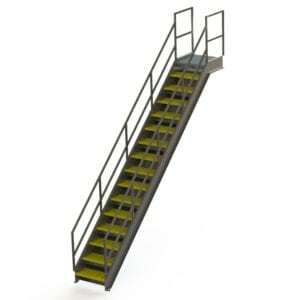 Fusion Tech can design and manufacture a stair case that meets the needs of your specific application. Contact us today for a quote! GripTECH™ is our anti-slip coating that can be applied to any item you order from Fusion Tech. Specially designed for one of our clients, GripTECH™ creates an extreme surface hardness and bond strength providing a rugged a durable slip-resistant surface with a long usage life that does not rust. It is ideal for food and beverage applications, as the anti-slip coating is chemical and corrosion resistant. It cleans easily via power washing and is designed to last for years of heavy usage.